The foundation of your home is critical because it supports every other part of your house. If the foundation isn’t strong and stable, your home will develop problems that can be difficult to remedy and may include the need for extreme measures such as house lifting to get to the problem and correct it. The first signs of a problem with the foundation are usually cracks on either the walls or the need for repairs ceilings of a building. Sunken concrete floors or buckled or warped walls also indicate the need for foundation repairs. The causes of foundation problems include settling of the ground, earthquakes, floods and even being struck by a vehicle. There are several ways to repair a foundation depending on how extensive the damage is. Slab jack repairs involve adding grout beneath a beam or slab to lift the sunken concrete pad. Ideally, this will level the area. It requires careful measurement of the amount of sand and grout needed for leveling and maintaining the results as well as careful house lifting techniques to ensure no more damage is done to the home during repairs. Pier jack repairs, or hydraulic jack repairs, drive steel beams or posting into unstable soil and use hydraulic jacks to stabilize the concrete slabs. 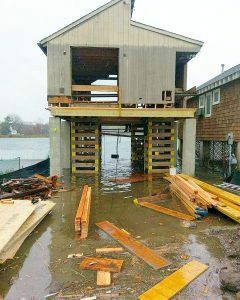 The piers prevent farther damage to a home’s foundation. This method requires the drilling or pouring concrete piers. Holes are drilled to a depth of anywhere from ten to twelve feet below the foundation, then filled with concrete and reinforcing steel. You’ll also need to fill the concrete shims and spacers over the newly poured concrete. This is the most effective and stable method of repairing a foundation, as the holes are drilled to depths of up to fifty feet. Steel piers are then used to stabilize the foundation. With any of these foundation repair methods, it’s essential to hire a contractor that is familiar with foundation repairs and house lifting methods that won’t further damage the home.